Today I’m going to introduce you tool a tool that can help you find any email on any domain, which will help you figure out what the pattern of each domain looks like. If you’re on a sales team, you can use the tool to find and get in touch with the person you’re looking for. In today’s episode, we’re going to be talking about a tool that can help you find any email on any domain which will pretty much help you figure out what the permutations of each domain looks like. Let’s say you’re on the sales team or maybe you’re looking into reach out in terms of promotions. You can use this tool to really help you find the person that you’re looking for and I try to this myself yesterday. I found that on Product Hunt. The tool is called Email Hunter. That’s emailhunter.co and what it does is exactly what it says it does. You literally, it will hunt emails down for you. Maybe, you put in the domain. Let’s say, you out in singlegrain.com and you’ll see my email pop-up or I can put in another domain and I can see whoever I’m trying to target. For sales people, this is great. They have an enterprise tool when you’re working to just collect a ton of emails at once. Even if you’re using it for content promotion, they do allow few free searches when you actually go to the website. Again, emailhunter.co, I highly recommend that you check it out. It has a ton of outvotes on Product Hunt right now and I think, it’s going to be great. You can use it on conjunction with SalesLoft or any other tools that you’re using, LinkedIn Sales Navigator. 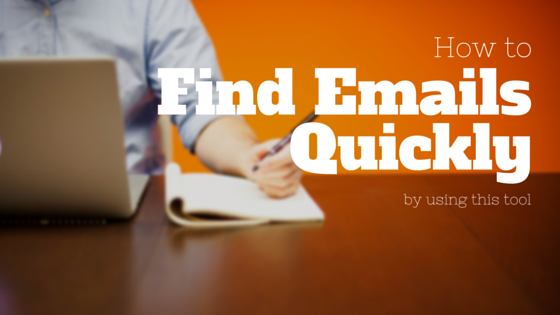 Definitely, check it out, emailhunter.co.